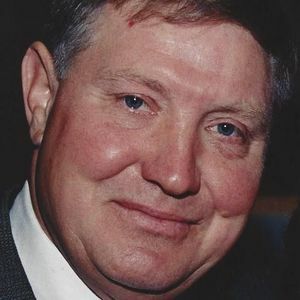 GREENVILLE- Virgil Leroy Braden, 69, of Greenville died July 15, 2016 at The Heartford House in Owensboro. Mr. Braden was born in Hopkins County, and was a retired coal miner and member of Greenbrier Baptist Church. he was preceded in death by his mother Anna Braden, brother: Leman Oatis Braden, and sister Margaret Ann Peyton. He is survived by his wife Vonda Hughes Braden of Greenville, sons; Keith(Mary)Braden of Owensboro, Colby(Sarah)Braden of Bremen, grandchildren; Cameron, Samuel, and Daniel Braden, great-grandchildren Aiden, Caleb, and Andrew, father, Leman Braden of Mortons Gap, brothers; Timothy Braden of Earlington, and James Braden of Nortonville, sisters: Brenda Peyton of Graham, Janice Hancock of Rockport IN, Debbie Guy of Madisonville, Anna Hancock of Mortons Gap, and Vickie Cranor of Nortonville, several nieces and nephews, and all his friends at McDonalds. Funeral services will be Monday, July 18, 2016 at 1:00 Pm at Tucker Funeral Home in Central City, with Rev. Autry Moore officiating. Burial in Rose Hill Cemetery. Visitation will be Sunday after 3:00 PM at the funeral home. Online condolences may be made at www.tuckerfuneralhomes.com. Expressions of sympathy can be made as donations to the Heartford House in Owensboro, 2914 Old Hartford Road Owensboro KY 42303. The beautiful and interactive Eternal Tribute tells Virgil 's life story the way it deserves to be told in words, pictures and video. Vonda, just heard of Leroy's passing and I send my Sympathy to you and your family. sorry to hear about Leroy. my prayers are we you and family. Vonda, our prayers are with you and your family. Leroy was a wonderful friend who will be missed. During our conversations he always expressed his love for his Heavenly Father. Hate to see you go old friend, we worked well together, I know you are in a better place now! Keith so sorry for your loss. Prayers to you and your family. I remember the last time we sat & talked at McDonalds....my condolences for your loss, so sorry. What can I say about my long time friend's Husband...He was dear man loved by many..He fought ruff journey...Sending my love to this family in their sorrow of his passing...He will be missed by many..His pain is gone..Vonda my dear friend u know you only have to call and i will listen..
We have many fond memories for this great man & his sweet family. We first met Vonda & Leroy at McDonald's and they later they became members of our little church at Greenbrier. He will be sadly missed by all. Love & prayers for the family.